Perdana University School of Foundation Studies (PU-SFS) was established with the aim of providing a foundation level programme to academically prepare SPM or O-level school leavers for admission into their chosen degree programme. The programme is designed to be fast-track in which students will complete their studies within one year. The programme is intensive but academically rewarding because the curricula focusses on academic subjects, study skills and the English language that will assist students in gaining a strong understanding of the fundamental knowledge in science. This knowledge will serve as a foundation for understanding and inquiring into new knowledge frontiers of science when they embark on their degree programme. Students enrolled in our programme have the opportunity to interact with students from other degree programmes and also have the benefit of experiencing the vibrant university life compared to their peers who are still in high school. In addition, they are mentored and trained to ensure that they are well-prepared, leading to a smooth transition to their chosen degree programme. We seek young talented and bright students like you to join us because we believe in helping you to lay a strong foundation that will propel you to great success in the future. 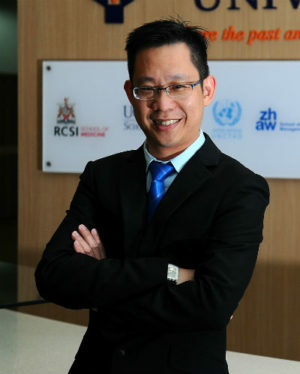 Dr. Chan Soon Choy, Ph.D. Associate Professor and Dean of Perdana University School of Foundation Studies .